LSVT BIG is an effective treatment that assists with recovery of optimal movement that has become limited by Parkinson's disease. It stresses recovery of BIGness of movement in daily functional activities. LSVT BIG is beneficial for individuals with more recent diagnosis of Parkinson's and those with more long-standing deficits. It helps restore movement in areas such as walking, getting in/out of bed or a chair, dressing, eating and many other daily activities. 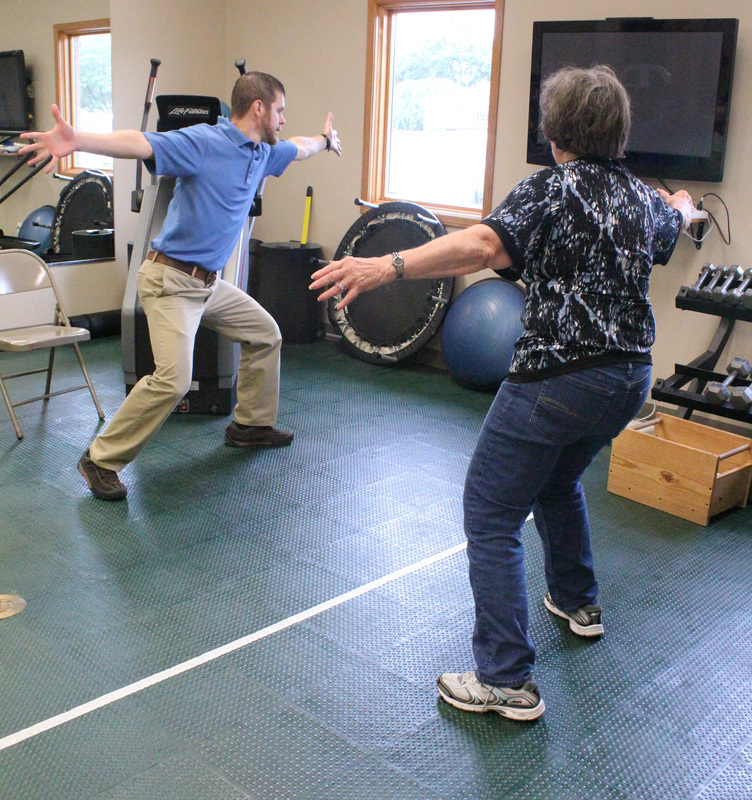 Slow, limited movement patterns will improve and individuals begin to function more safely and independently. ​ LSVT BIG therapy sessions are completed 4 days per week for 4 consecutive weeks. I have absolutely great things to say about my experience with the LSVT Big course for treatment of my Parkinson's disease. I really had a lot of doubts, about me mainly. 1st of all I was using a cane on what I called my "good" days and on my "bad" days I used a walker. My self confidence was nil. Adam was very thorough when explaining what we would do and very patient. With his instruction and guidance throughout the 4 week course, I re-learned some things and he helped me re-gain my confidence in every way. I feel 100% on most days. I am so grateful to Tonya Mills for bringing this program to Abilene Physical Therapy and for Adam for going through the training program. I just don't have enough room for my praises. Thanks Adam! --K.G.